I need warfare prayers for my friend , who is 21 years old. He met this girl about 3 months ago who is 29 years with 2 children and has decided to marry her in the next 2 months. Within the time they are together they have had up and downs. Both she and his mother has cast a spell on him, his mother wants to control his life. He had a precious previous girlfriend within his age range and they were getting along very well with no problems. They were together for 2 1/2 years, but the mother did not like her. Recently he just got up and walked out of her life and went to meet this lady whom he is about to marry. He really needs powerful prayers to get out of there. This is exactly what the mother did to his father and he is in a bad condition right now. 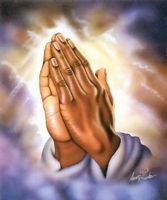 So Please pray for my friend and his father for the spells to be broken before he goes to live with the girl and they gets married in jesus name amen. Actually I have been praying for so long with no answers, that today I wanted to revert to evil just like the other people above. Father please forgive me but I realized that it would be faster this is why I decided to reverse it. Please father please forgive me.